Home » How To » How Come I Never Knew This. 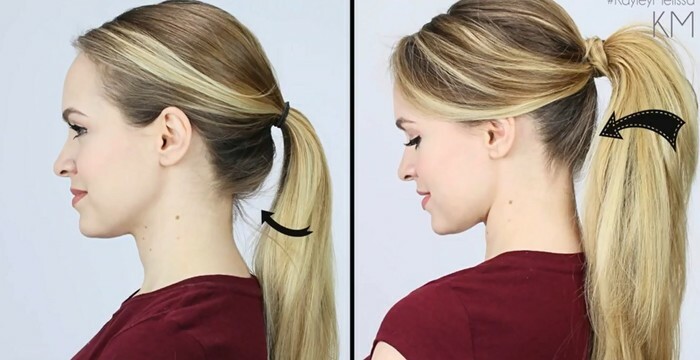 I Have Been Tying My Hair The Wrong Way All This While! Lets get real for just a sec. Most mornings, the snooze button gets priority over a few extra minutes of primping. We all know what its like to roll out of bed post-snoozing, only to stare into the mirror in absolute horror. Youve got to get that mane under control. Lucky for you, we have solutions. Fast solutions. When a little extra sleep helps you get gorgeous (its called beauty rest for a reason) and your new warm weather hair routine only takes minutes, its a win-win situation. So go ahead, sleep in. With this quick n easy spring hairdos, you can be well-rested and totally put together. After all, its spring, and you deserve to feel as fresh and beautiful as the season.